March 2nd, 2014 | Faces of Wheaton. We see them on the road, and at their various stops across the country – but what is it like to be behind the wheel of a Wheaton truck? Join us this month as we take a look at a driver’s world. 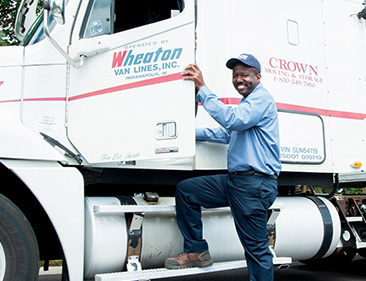 Each month Wheaton takes some time to recognize our drivers and the sacrifice they make being away from friends and family while on the road. Wheaton drivers understands that moving is a pivotal time in life for families and are prepared to relocate your belongings and your life. These individuals go beyond the required tasks and truly seek to make your relocation process a success. They act with professionalism and handle each move with integrity. Be watching out for our first ‘On the Road’ post, featuring the Drivers of the Month and a look into their world on the road. Buckle up, we are hitting the road with the professionals – see you there!